BG (R) James T. Hirai, Deputy Dir. 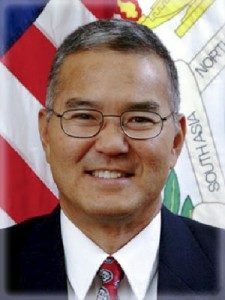 The Daniel K. Inouye Asia-Pacific Center for Security Studies (DKI APCSS) is a Department of Defense executive education, conference and research center established in Honolulu on September 4, 1995. DKI APCSS supports the U.S. Pacific Command (USPACOM) and the Department of Defense with in-residence and outreach activities designed to help security practitioners and influencers from throughout the Asia-Pacific region expand their knowledge, improve their skills and expand their professional networks of colleagues committed to enhancing effective security cooperation. Jim Hirai joined DKI APCSS in April 2006 after retiring from active duty in the U.S. Army. As the special assistant to the Commander, Combined Forces Command – Afghanistan, he worked in the Office of Security Cooperation – Afghanistan leading the external support to the Afghan Ministry of Defense and National Army. as an infantryman in Air Assault, Airborne Ranger, Mechanized and Light units. Advanced Courses, Armed Forces Staff College and the U.S. Army War College. Expert Infantryman Badge, Master Parachutist Badge, Air Assault Badge and the Ranger Tab.